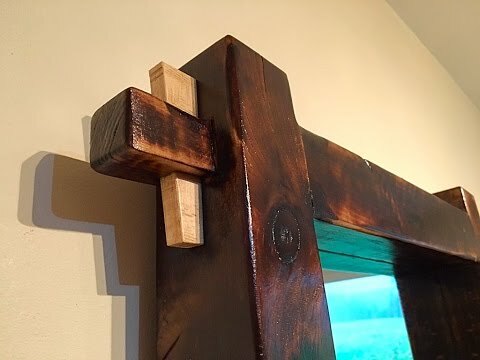 I wanted to make a chunky rustic looking frame with wedged through mortise and tenon joinery and this is what I came up with. I really like the rustic look of the burnished finish. Hope you like it too. if you like my work I do here on YouTube please consider supporting my work. New Invention - 4 Way Parallel Clamp! How I built my wall bed quickly and easily with Easy DIY Murphy Bed hardware kit.